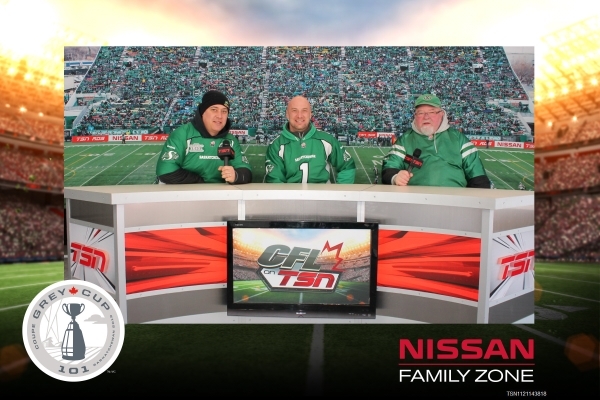 We have a couple things we can say about our experience in Regina during Grey cup week. It was really, really, really cold, and it was the best time ever! 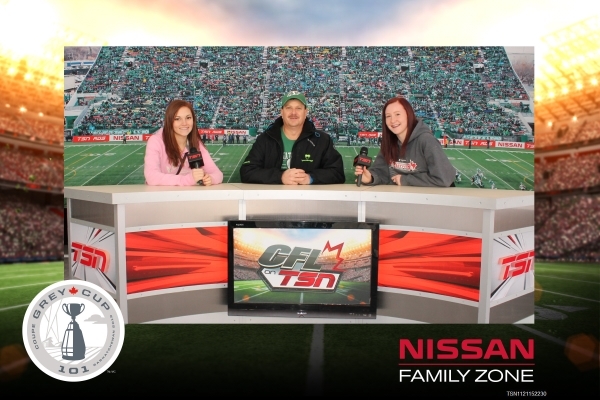 TSN wanted us to create a one of a kind experience for the game goers, and we set out to do just that. 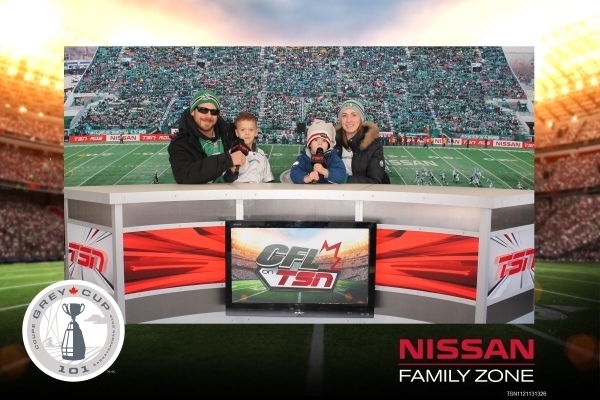 We camped out in the Nissan Family Zone, setting up the TSN desk with a backdrop of the stadium behind it so guests could get a snap shot of them commenting on the game, and meet some TSN personalities who stopped by to say hello. Once we captured their winning smiles, we used our iPad registration to get our guests’ details quickly and easily despite the bone chilling temperatures so they could download and share their moment in the spotlight on Facebook and Twitter. After it was all over, and we had packed up our stuff and our staff and headed home, we compiled data for TSN just to see what kind of outreach the event had overall. Let’s just say it was definitely worth getting numb toes for.